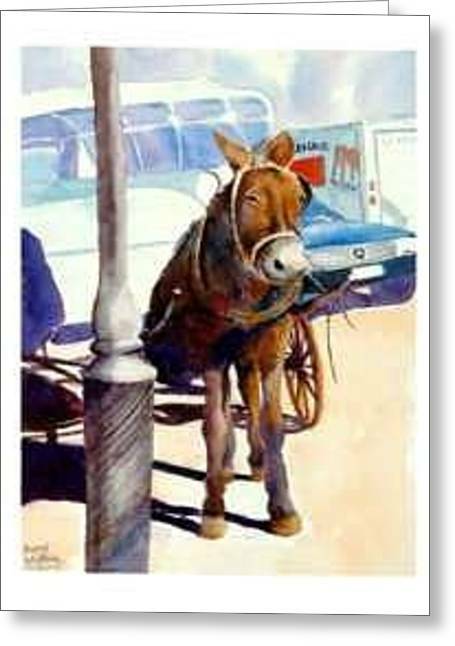 Cadallic Coup De Mule is a painting by Bobby Walters which was uploaded on July 15th, 2010. 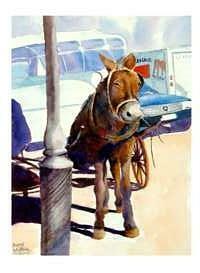 This is one of many mules used in the big easy to transport visitors around the beautiful old city in open carriages..This painting was of a mule very close to the old FRENCH MARKET COFFEE STAND in New Orleans. There are no comments for Cadallic Coup De Mule. Click here to post the first comment.